Standing alphabet letters, whether you’re displaying all 26 letters or using some to spell out a name or word, provide a decorative accent to a room. Making your own standing alphabet may seem like a challenge, but you don’t have to be an expert woodworker with fancy tools to create one. While creating the entire alphabet is time consuming, with dedication, you can do it with supplies you may already have around the house. Trace the outline of the letter “A” onto a piece of corrugated cardboard in bubble letter form. Make it the size you desire, but keep in mind that the larger the letters, the more cardboard you’ll need to complete the alphabet. Use stencils if you aren’t comfortable with freehand drawing. Place onto a cutting mat and cut out the “A” with a sharp craft knife. Trace around the “A” with a pencil 4 more times and cut out each outline so they are the same size. Pour white glue into a tray. Coat the front of one “A” with glue, using a roller for full coverage. Line up another “A” and press into place. Repeat the gluing and layering until you have stacked all 5 cardboard pieces. The layering effect creates thickness which allows the letters to stand. Repeat the outlining, cutting and layering for each letter of the alphabet. For rounded letters like “O” and “U,” draw the bottom flat instead of round to allow it to stand instead of roll over. For top-heavy letters like “F” and “P,” add a small line at the bottom for extra balance. 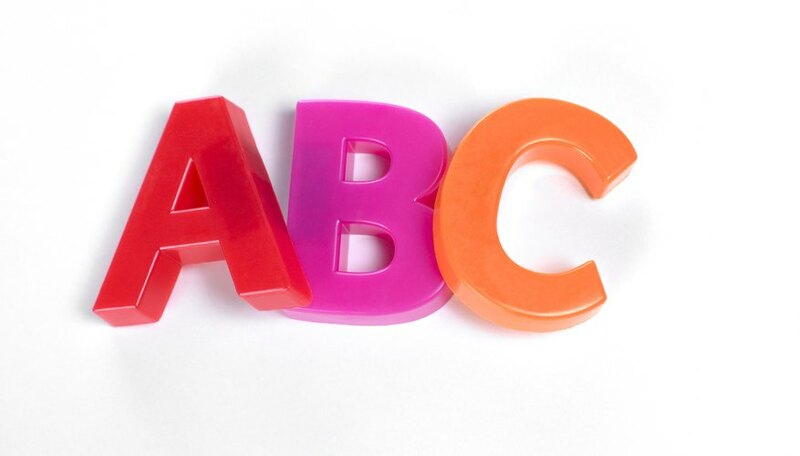 Cover with high-gloss acrylic paint for a shiny finish to decorate your standing alphabet letters. Decoupage paper patterns or pictures onto each one for a collage effect. Add glitter, sequins or any other type of craft supply for texture.